I posted about my yearly goals here, but blah blah blah, plans change. So, new goals! And I have a lot of them. I think they're all fairly attainable. 1. Bind Big Blue. If I'm smart, I'll get it done before a wedding in May and send it home with my sister so it doesn't take any of my precious car space. I'm not sure I have a suitcase big enough for it, though. 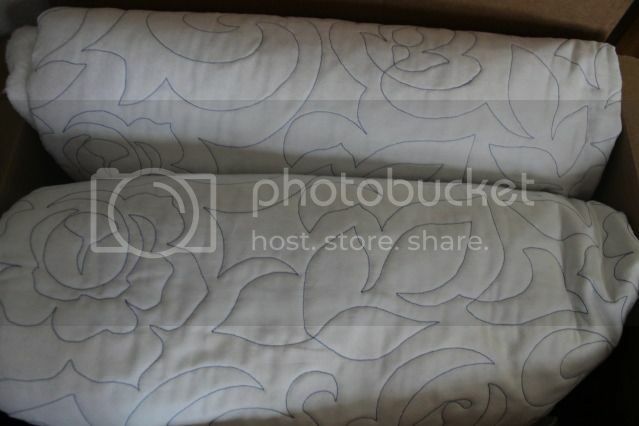 I also need to make pillow shams to match. 2. 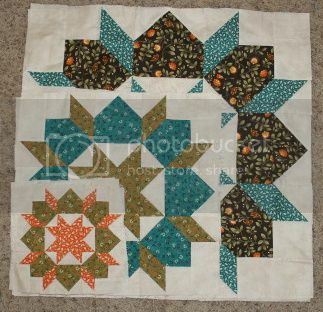 LQS Saturday Sampler - all the blocks are done, and the medallion is well on its way. 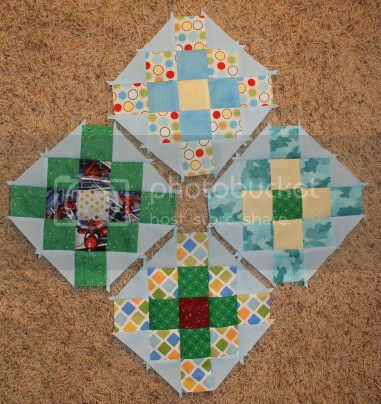 Still hoping to get it done and to/from the quilter before we leave for the summer. Otherwise it'll be a Christmas present instead! 3. Swoon A Little, Swoon A Lot - I have about 2-3 blocks left. Really need to finish them up and assemble the top. 4. Chunky Log Cabin - I have 13 blocks, and I think I only need 20. Ugh, why do I abandon projects so close to completion? 5. Airplane Dreams, Baby Girl, and Granny Squares - all easy baby quilts that need to be finished up before the babies are born. 6. 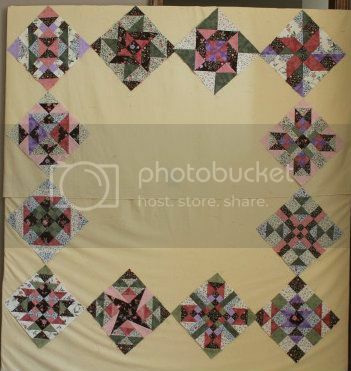 My Precious Quilt Along - hey, shocker! Another QA! 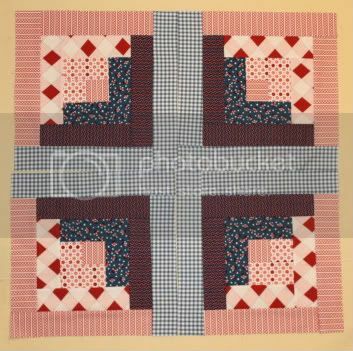 In this one, you use your most precious fabric in any way you want. I've got two most precious stacks. They share the place of honor top shelf with Dorothy Kathryn. There's my Objects of Desire precuts, and my very first fabric cuts ever. It's a line based on Renoir and Monet paintings, and I have everything from fat quarters to yardage. And not a single clue how to use them.